For nearly a decade, photographer DarkElf has been inspiring the Aminus3 community with colorful landscapes from Australia and around the world. 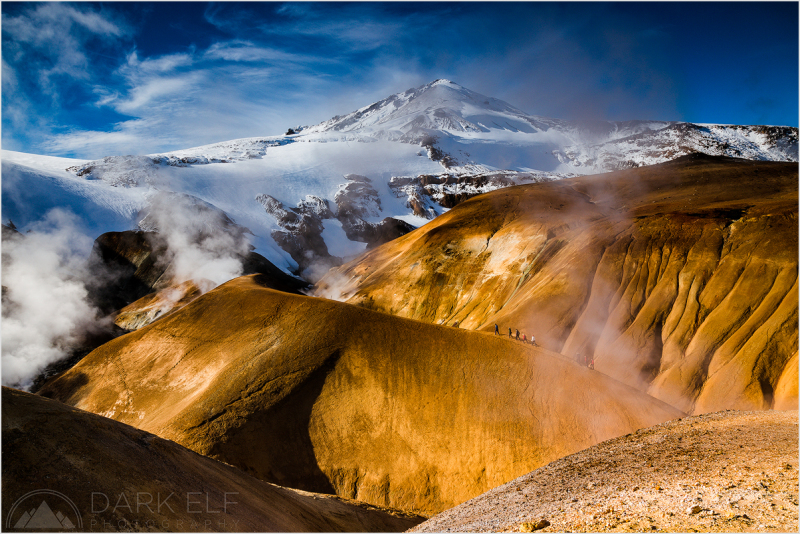 In 2015, he had the opportunity to travel and photograph the iconic and otherworldly landscapes of Iceland. The following images are some select favorites from the trip, which show the beautiful diversity of this unique place. You can see more of DarkElf's images on his Aminus3 website. 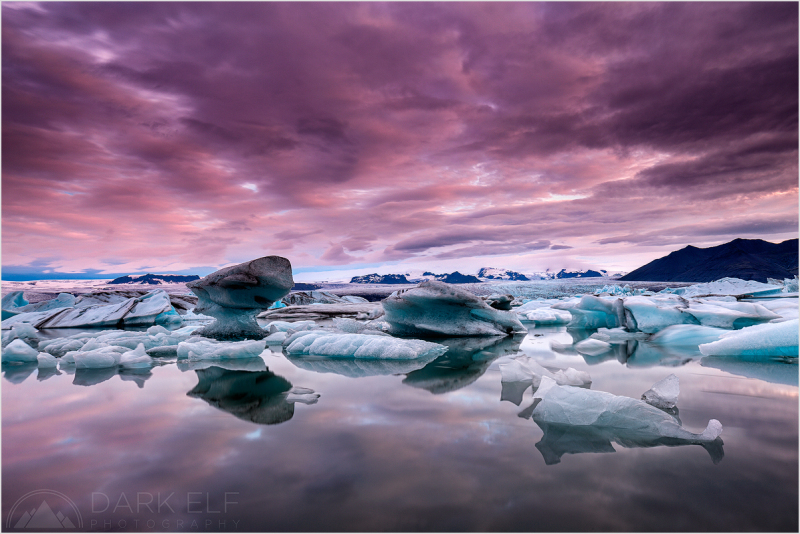 Breiðamerkursandur is the Icelandic name for the ice beach near Jokulsarlon Glacier Lagoon in the south of Iceland. It was one of the highlights from out trip to Iceland and I could spend there day after day after day. I captured a couple of icy "travellers" arriving on the black beach after being pushed out from the lagoon by the receding waters during the low tide earlier in the day. 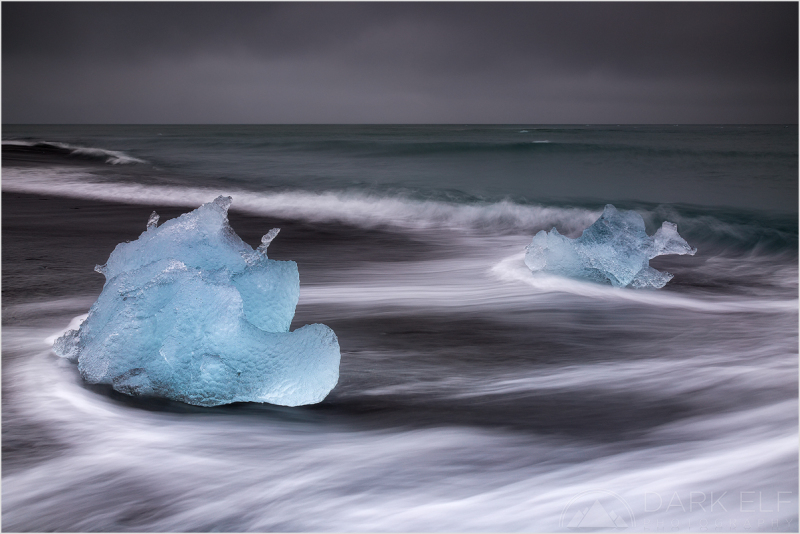 It was a dark and gloomy day but the icebergs were really shining as they landed on the dark sand. This is my last post for 2015 and I wish everyone the best of light and lots of happiness for 2016. See you all next year! 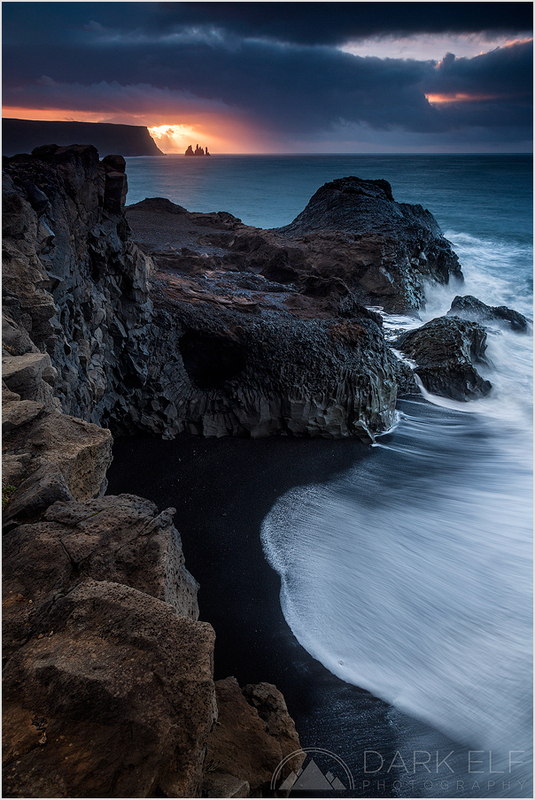 The sun desperately tries to break through dark clouds as it rises over the Reynisfjara Beach and the famous basalt sea stacks - Reynisdrangar, in Iceland. I spent a great morning shooting from the rocks that you can see in the bottom right hand corner of the scene. I was capturing the Black Sand Beach and the sea stacks from different perspectives before deciding to drive further up the coastal cliff to capture the Dyrhólaey arch. Sometimes it pays to look around behind you, or in this case in the rear view mirror of my car, to see an amazing sight opening up just when you least expect it. As I was driving up the steep hill towards the arch, I looked in my mirrors to see a break in the clouds opening up and this dramatic and contrasting scene developing very quickly. The wind was picking up sharply and the clouds were moving rapidly across the sky. I stopped on the side of the road immediately and had just enough time to shoot three or four frames. It was one of those moments when I was really pumped up to see the results on my camera screen. I did not make it to the arch in the end but I was more than happy with the shots I took on the way. It took two attempts to see Kerlingerfjoll in Iceland in all its glory. The first time we drove from the north along route F35 through severe winds. After four hours of driving we got all of just about five minutes to get out of the car before strong winds and rain forced us to retreat and head back. The second time (on our second last day of the trip) we gave it another shot through the southern part of route F35 and we got pretty much the prefect weather to see this amazing place. Fresh snow covered the upper parts and it looked absolutely stunning combined with the colour of the mountains and the blue sky. The volcanic origin of these mountains is evidenced by the numerous hot springs and rivulets in the area, as well as red volcanic rhyolite stone the mountains are composed of. It is a place where the ice truly meets fire and the experience is wonderful. I used the small hiking party as a human element in this scene to capture the true scale of the mountains and terrain. This is another photo from my morning escapade to the rugged coast near Vik in Iceland. Shooting in the morning was a great experience for me, mostly because I was usually alone at the locations I have picked. I had all the time to take in the light and landscape and I just felt a part of the scene that I was trying to capture. The clouds were rolling in very fast that morning but they were broken up enough to allow the occasional ray of sunshine to break through. 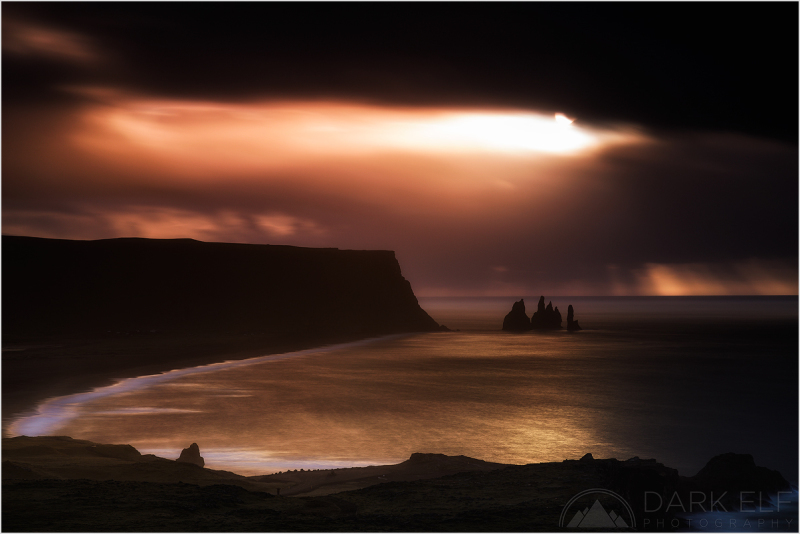 In this scene that light burst through beautifully right over the sea stacks - Reynisdrangar - in the background. Basalt rocks that form the coast made for an intriguing mosaic, water movement made up the rest of the scene and filled the black sand in the foreground. The waves are usually huge and very dangerous here and this time I have chosen a higher vantage point so that I was reasonably safe from their might. One is never too safe around the coast and I still had to be on a look out for any larger wave as it could easily reach even the spot where I was standing. Breiðamerkursandur - that is the Icelandic name for the black sand beach near Jokulsarlon Glacier Lagoon where many of the icebergs return to shore after being pushed out to sea by the receding waters of outgoing tide. It was a bit tricky shooting the icebergs because of the incoming waves and the imminent danger of one of the icy bits crashing into my legs or my tripod. I have purchased a pair of wellington boots in Reykjavik and they came in very handy that morning. In addition, the icebergs were pushed around all the time and timing the shutter button was crucial to capturing as many of the as still as possible. 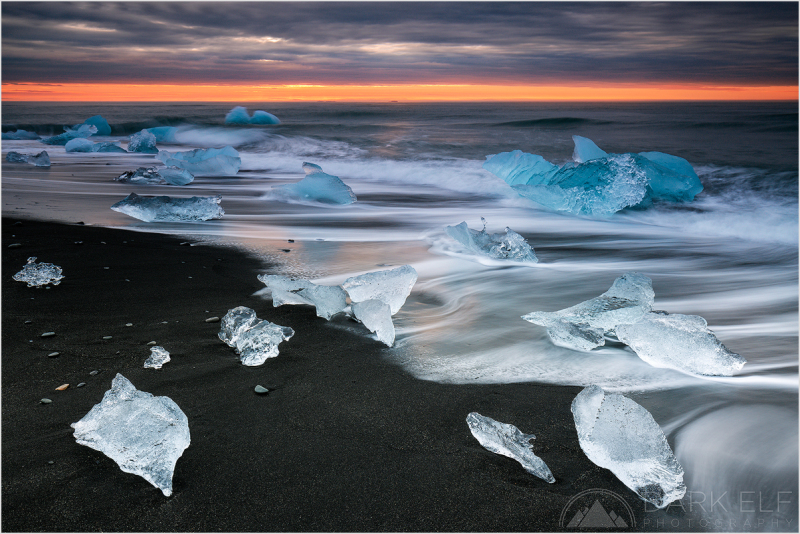 It was a glorious morning, may be without too much sunrise colour, but the ice show on the black beach more than made up for that. Despite seeing numerous photos in the past, I could never quite envision what it was going to be like in real life. Spectacular - that is what it was! Our trip to Iceland would not be complete without spending some time at Jokulsarlon Glacier Lagoon in the south of the island. We managed to spend three days around the area with special emphasis on shooting some photos at sunrise and sunset. This is the first morning at the lagoon and it was pretty much the best time for colours as the others were fairly gloomy. The clouds lit up with pink hues for a short time and I was trying to capture as much of the colour as possible. Most of the icebergs stayed still enough, however, you can just notice some of them moving. The low tide was beginning around sunrise time and while everything was still when I arrived in the darkness, there was a procession of icebergs out to sea by the time I left for breakfast. This is a view from the east bank of Jökulsá á Fjöllum river in northern Iceland, near the Selfoss waterfall. On a different day we returned to the waterfall and due to the main fall being covered almost entirely by water spray, I decided to concentrate on some of the run off streams on the western side of the river. Luckily, the wind was blowing away from the camera and kept the water spray away from my filters. I was fascinated by the various flows in the scene before my eyes. The smooth texture of the clouds, vertical streams running down the cliffs and horizontal flow of the river working in unison together. I was very pleased with this photo. The conversion to monochrome worked very well and it is one of my favourite (if not the favourite) photos from the entire trip. 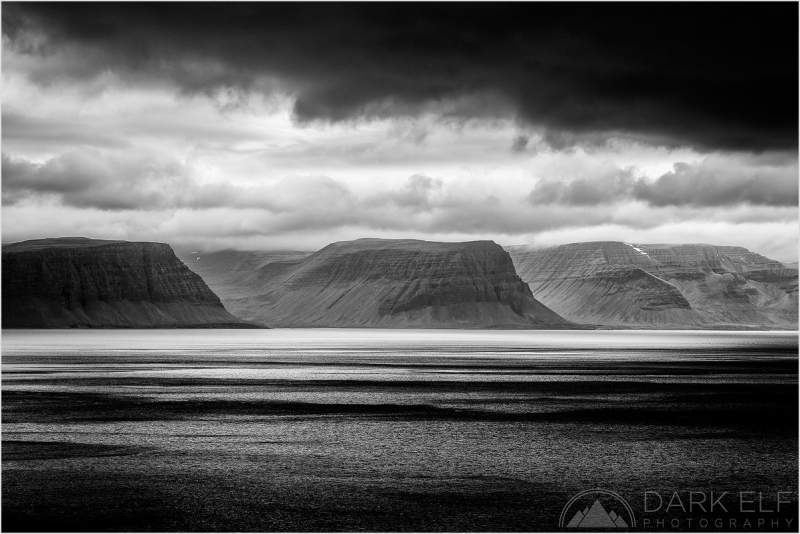 I previously posted a black and white photo from Westfjords in Iceland and now I have a chance to present a colour capture from that region. The weather was not great, however, I was constantly on the lookout for a break in the clouds and for sunlight to illuminate the mountains that form the fjord. The moment the sun broke through I was ready to find a spot to park the car and to swiftly proceed to try and capture the scene. It took a few attempts but I think that I managed to capture a bit of that fantastic light and beautifully sculpted mountains right here. 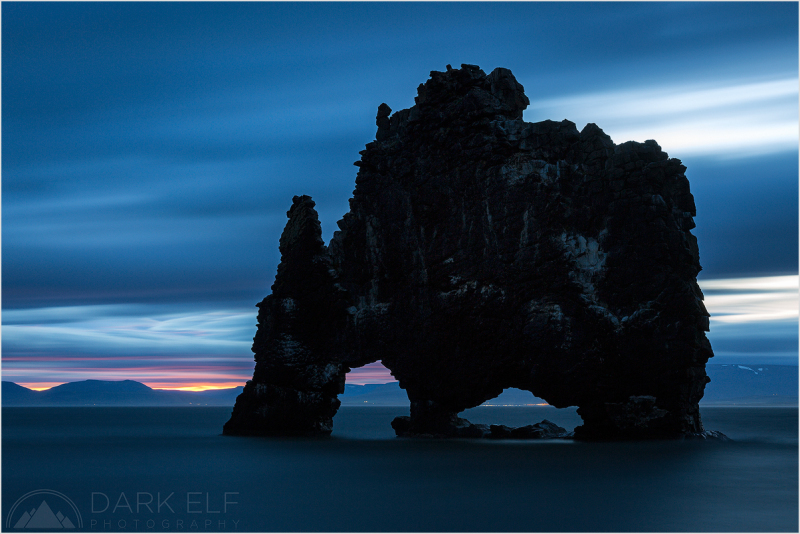 Some call it a troll, others a dragon, in Iceland it is called Hvitserkur and I will call it The Giant. 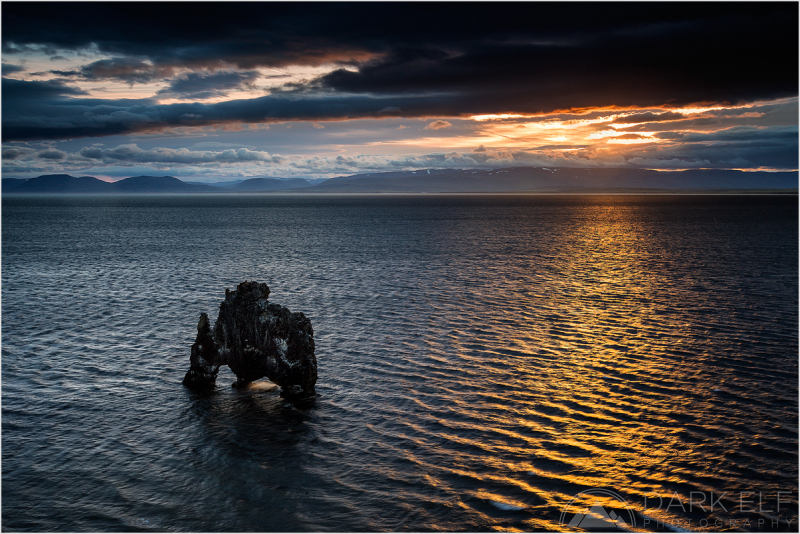 Here it is awakening during my dawn shoot on the eastern shores of Vatnsnes peninsula. The clouds were moving very fast and what started off as a calm morning quickly became a struggle against strong winds that arrived from the south. I do not think I have ever experienced such powerful sustained winds as on that day. There were only glimpses of sunrise colours over the horizon but it was still fascinating to be there and to see this rock through my own eyes. I would like to wish everyone who celebrates this time of the year a Very Merry and Peaceful Christmas! 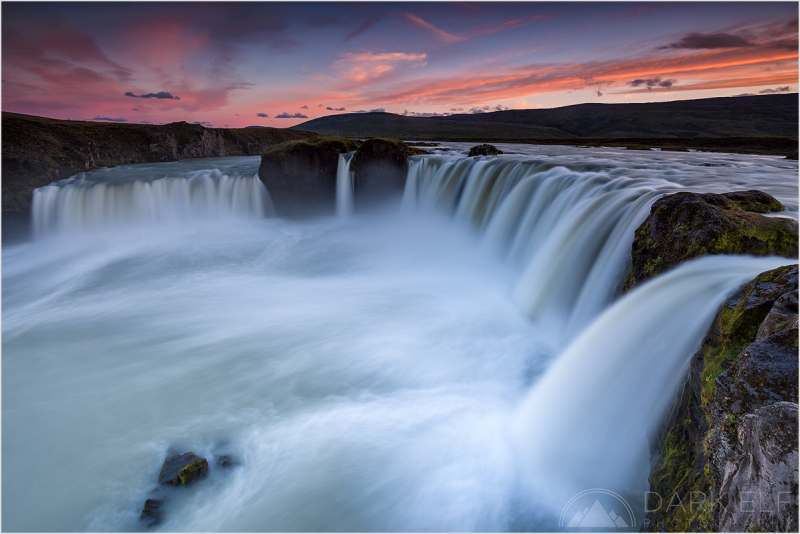 Godafoss - the Waterfall of The Gods - is one of the most spectacular waterfalls in Iceland. It is located in the north-central region along Route 1 between Akureyri and Myvatn. It was raining heavily in the days before we visited the waterfall and the flow was massive. This meant that I had to watch the wind direction to avoid excess spray ending up continuously on my filters. Sudden changes in wind direction were especially annoying. The spray did not worry me too much though because we were greeted by one of the better sunsets during our entire Iceland trip. I had plenty of time to scout various composition and this was not an easy task, as the falls are massive and no one angle can really give the idea of their size. I hope you enjoy my first post in 2016 and I look forward to seeing all of your new photos this year! Hvitserkur, the strange rocks in the north of Iceland, wakes up as the sun rises on what was going to be a windy and wild day. I took this photo from the viewing platform overlooking this spot just as I was heading back to the car after spending the morning shooting at sea level. I had a quick thought to have one last look at the rock and just as I got to the platform the clouds separated enough for the golden sunlight to spread over the water. Another unforgettable sight during our trip through Iceland. One of the hidden gems of Iceland - the Gjain Gorge in the Þjórsárdalur Valley. 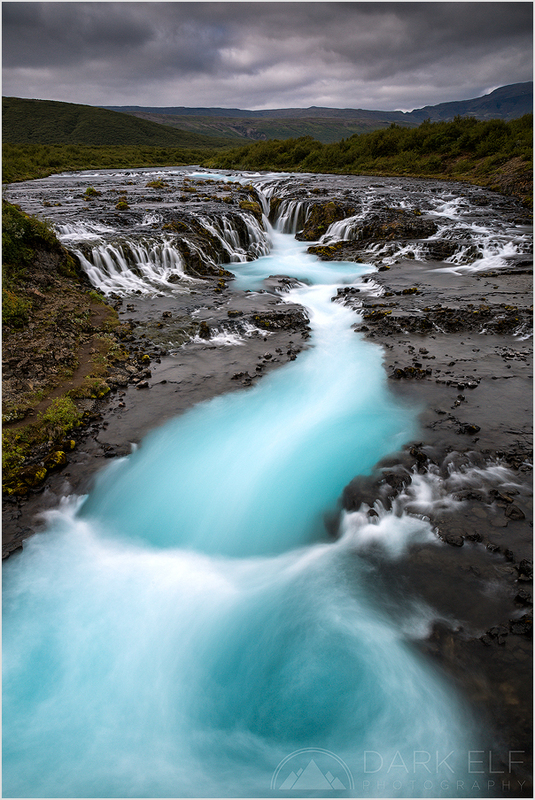 A place where dreams truly come to life with lush vegetation, where Rauðá River (Red River) flows through numerous streams and small waterfall in every direction possible. Once you find this spot, the entrance does not suggest anything special, however, once you step down into the valley it becomes magic. I could sped there hours just listening to the wind and the flowing water, looking at the beautiful plants, examining strange rocks and caverns. An added bonus was that it was Autumn when we visited and some early fall colours were visible around us. It is a place that allows for wide captures as well as more intimate compositions. You can get really close to each stream, rock and tree and they can form many different layers around you. This is what I tried to show in this photo and I hope you can feel at least a little bit of that magic too. 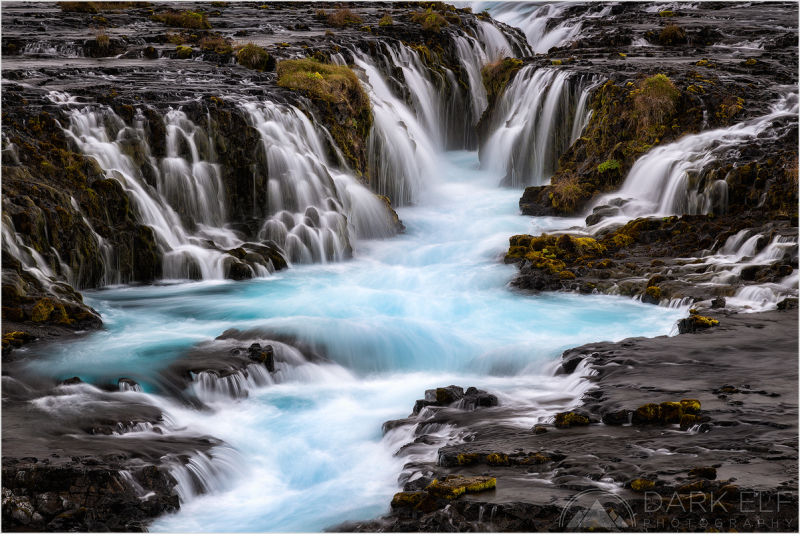 Closer look at the many streams that make up Bruarfoss waterfall in Iceland. It really felt like there was a thousand of them flowing down the rocks, captivating my attention and imagination. 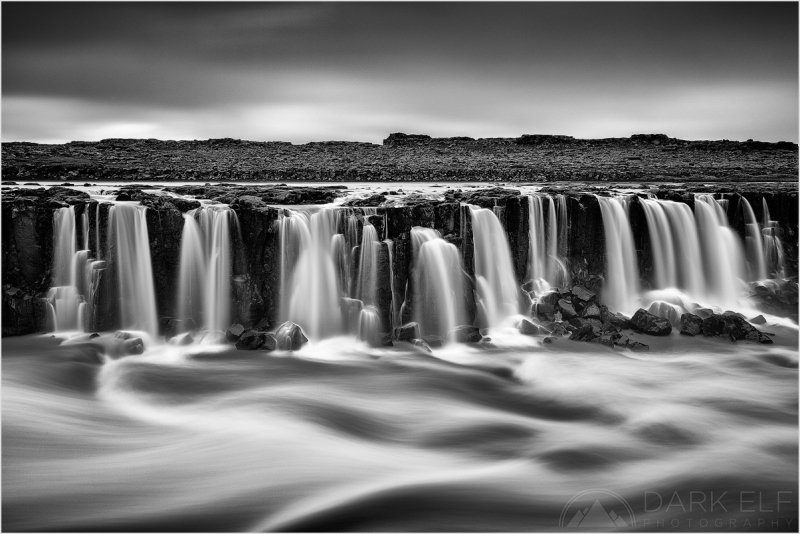 We spent good few hours around Bruarfoss and I took photos from different angels and at different focal lengths. Going towards telephoto I was able to find stunning detail that was easily missed at wide angles. 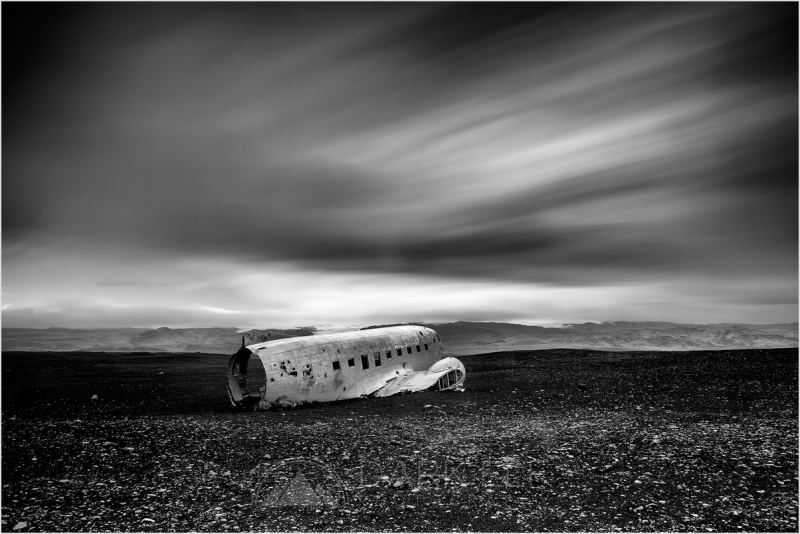 In 1973, the US Navy airplane - a Douglas Super DC-3 - crash landed on Sólheimasandur beach in Iceland after what was later found to be a pilot's error. The crew all survived the impact, but the plane was abandoned rather than recovered - and lies there still in the middle of the black desert that surrounds it. While this spot has become a lot more popular and accessible in the last few years, it was still on our list to visit and the experience of seeing the remains of the plane abandoned in the middle of nowhere was fascinating. Probably even just five years ago not many people would have known where to find it and how to get to it. 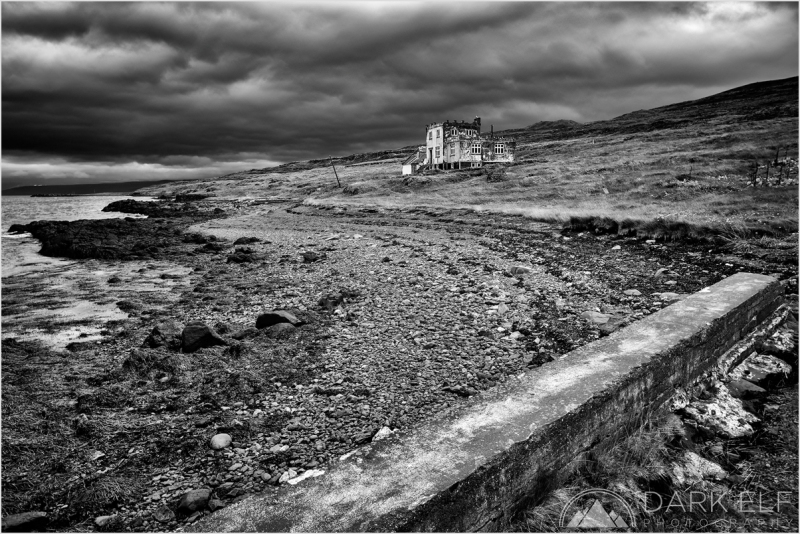 You can see the wreck in my photo and the desolate landscape around it. I went for a long exposure as the clouds were moving very fast and this gave the scene a bit of a surreal quality. I like the way the movement above contrasts with the stillness of the foreground. Selfoss is a waterfall on the river Jökulsá á Fjöllum in the north of Iceland. This is a composition that I chose from the west side of the river. I focused on one of the "side falls" further away from the main waterfall. The water level was very high and the resulting spray and run off streams prevented me from getting too close. 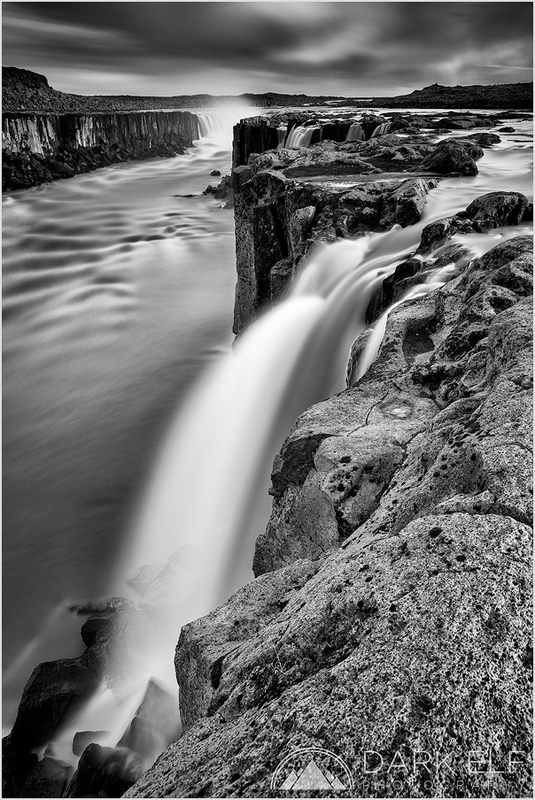 It was my intention to capture some of Iceland's superb waterfalls with the use of my 6 stop and 10 stop neutral density filters to create moody and dramatic scenes. Selfoss presented me with perfect conditions for what I had in mind. There are plenty of options for different compositions from both sides of the river. Spray is an issue though and wind direction needs to be considered when planning photos in this area. ...but it may yet return back to life. Before we set out on our drive from Isafjordur in the Westfjords to Hvammstangi we found some information about this old abandoned house or "the old castle house" that could be found on the way. We did not have an exact location, only a rough idea of where it may be located. We managed to track it down during our journey and stopped there to take some photos. In the end it can be spotted quite easily from the road near the locality of Arngerðareyri. It was built in 1928 when times were a lot better and full of life in this area. The owners abandoned the house in 1966 and gradually it fell into ruin. Apparently, it has been purchased by a German couple who plan to restore it to its former glory. Hence my title and lead into this post. For now it presents an interesting alternative to capture something a little different in Iceland and no doubt it is high on the list of interest of "urban explorers" who like to photography abandoned buildings. I am not exactly one of them, but I am not one to shy away from an opportunity to expand my photographic horizons. I may yet post a colour version of the house but the weather, conditions and the abandoned atmosphere sang "monochrome" to me when I was scouting out compositions and angles for my photos. I chose a wider perspective here as I found a good foreground element that I wanted to use and for me it also adds to the general "urban" decay feeling of this scene. We has a lot of what I call "black and white weather" during our trip through Iceland. Rain, wind, clouds and fog were our constant companions. You get, of course, the famous effect of horizontal rain as well. 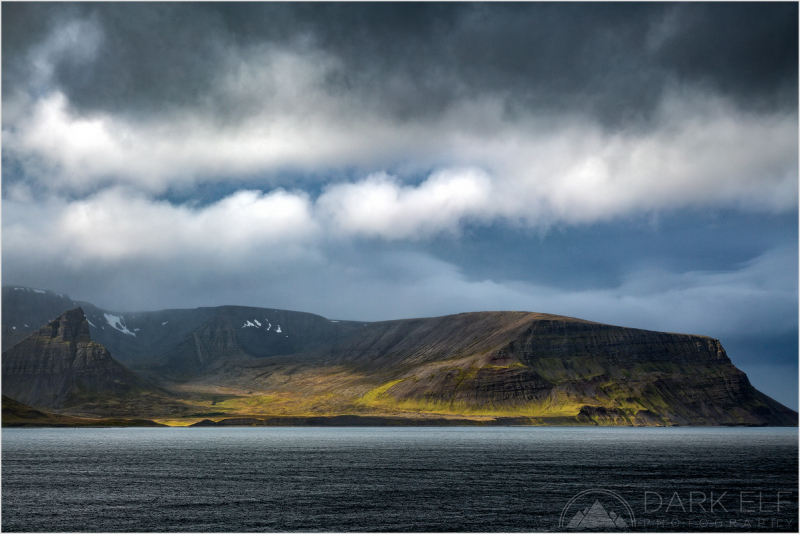 This is just about the best view of the Westfjords that we had through the rain and strong winds. I resorted to taking every single opportunity to photograph something decent and it was very frustrating at times. Still we kept going on and always hoped that a touch of good light and weather was just around the corner. This must be just about the most photographed place in Iceland so naturally we had to get out there and I had capture it myself as well! 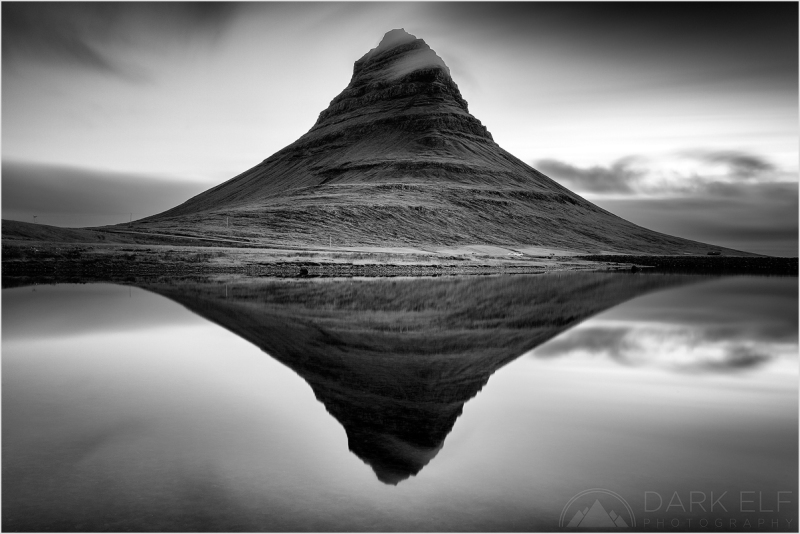 It is of course Kirkjufell - The Church Mountain - near the town of Grundarfjörður on the Snæfelnelss Peninsula. I was a lone photographer the morning this photo was taken. During the previous evening's sunset shoot there were about fifteen photographers jostling around. I was a bit surprised that no one else turned up at dawn. At least that gave me plenty of peace and space to myself. 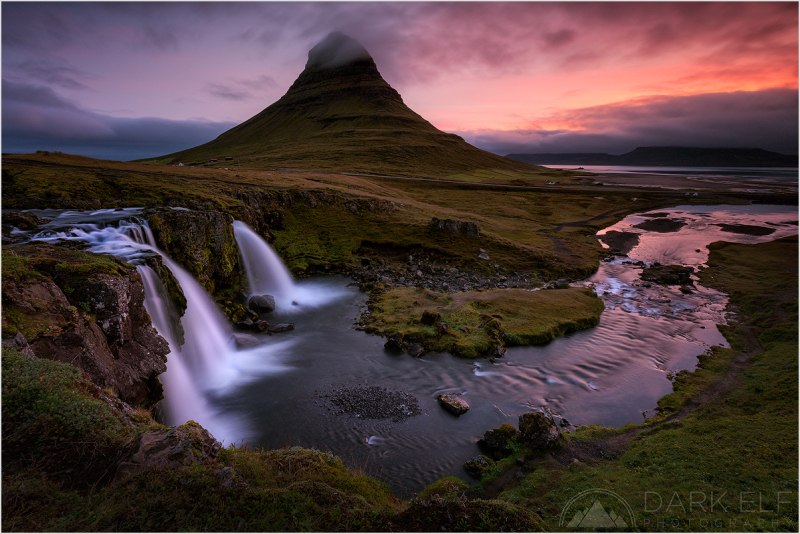 Morning colours open up a little over the Kirkjufell mountain near Grundarfjordur in Iceland. This photo was taken on the same morning as the black and white shot I posted couple of months ago. I first went to this spot hoping to see the sunrise arrive with beautiful colours. At first this did not happen and I decided to run down the hill to the right of this frame to take the reflection long exposure that I mentioned. As I was taking the two minute exposure, I could see some of the colours starting to appear. As soon as the exposure was finished, I run back up the slippery hill and set up quickly to capture this scene. It is by no means a technically perfect shot but I still like the mood that I captured and it was one of the early highlights of our trip. 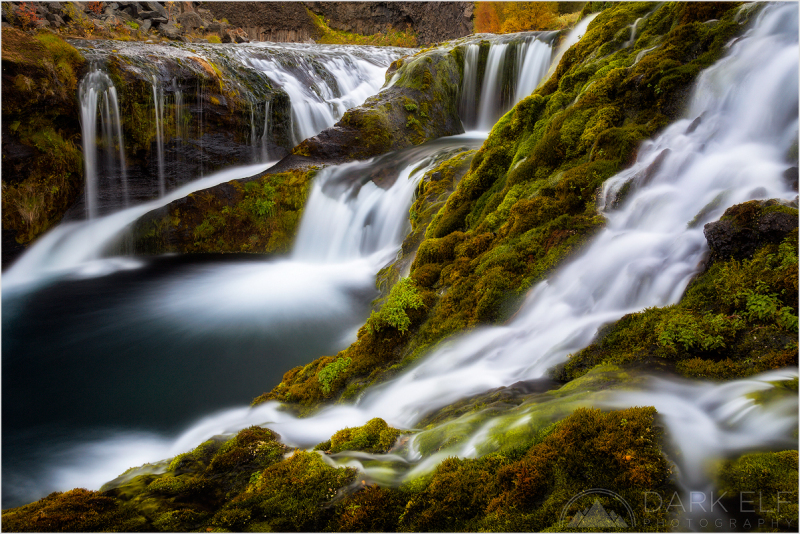 This is one of the more interesting and may be one of the more intimate waterfalls in Iceland - Bruarfoss. It is located in the Golden Circle region, however, it is largely unmarked and there are no signs pointing to it from the main road. Therefore, it remains hidden to most of the tourists traversing the area. It takes a little bit of finding, even with the numerous directions now available on the internet, but it is absolutely worth it. We wished that the weather was a little bit less gloomy on the day we made our trek to the waterfall. Sometimes, though, you just have to deal with what you get. The highlights of this waterfall are the numerous smaller falls/streams that you can see further up and also the beautiful blue/turquoise glacial waters of the river Bruar in the foreground. In this photo I decided to concentrate on that glacial glow as it contrasted nicely with the gloomy surroundings. There was just enough happening in the clouds to keep the sky interesting and I kept the shutter speed in check for this shot because I did not want the water to become too blurry but I did not want the water to appear too rough either. I do have some close up photos of the waterfall coming up later on so stay tuned in for those ones. We managed to spend around two hours at Bruarfoss shooting various angles and compositions and just enjoying the amazing view.